New Mod Allows for Super Mario 64 Levels of Infinite Size! Over the years, 3D platformer levels have generally gotten bigger and bigger. 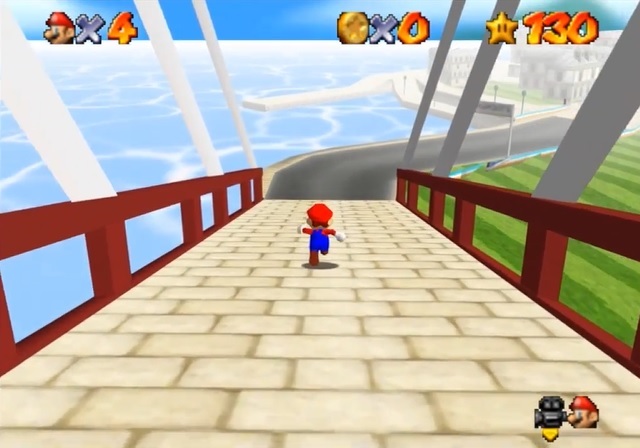 You had Super Mario 64, with fairly compact stages where everything was within walking distance. There was Rare’s N64 games, where levels were enormous to the point they often needed the Expansion Pack to run at all. And then where games like Yooka-Laylee and Super Mario Odyssey are concerned… well stages are even bigger still. New Donk City and Tostarena alone are bigger than just about every Mario 64 level put together! But it seems like the original game may still be able to beat them all. Why? It’s incredibly impressive really. Certainly, a far cry from the days of Bob-omb Battlefield and Whomp’s Fortress, that’s for sure. So, stay tuned to SKELUX’s channel if you want more info about it. Because it seems like the next big revolution in Super Mario 64 modding is just around the corner!